Learning to how to store jewelry is essential. For one thing, fragile metals and stones need to be protected. For another, neatly storing everything makes it much easier to remember what you own and quickly find it when you need it. And as anyone who’s ever crawled across the floor in search of an earring knows, the less time they spend out of place, the better. Luckily there are many ways to store jewelry, depending on your needs and personal tastes. Chain necklaces and bracelets will tie themselves into knots if not kept apart. Many gems can be scratched easily, by other jewelry or hard containers. Pieces with gemstones should be stored separately so they can’t knock into each other and become damaged. In addition to placing them in separate boxes or compartments, they can be wrapped in fabric or kept in their original pouches. In particular, diamonds do not play nicely with others, and pearls are particularly vulnerable. Some materials have unusual needs, e.g. certain gems shouldn’t be exposed to too much light. 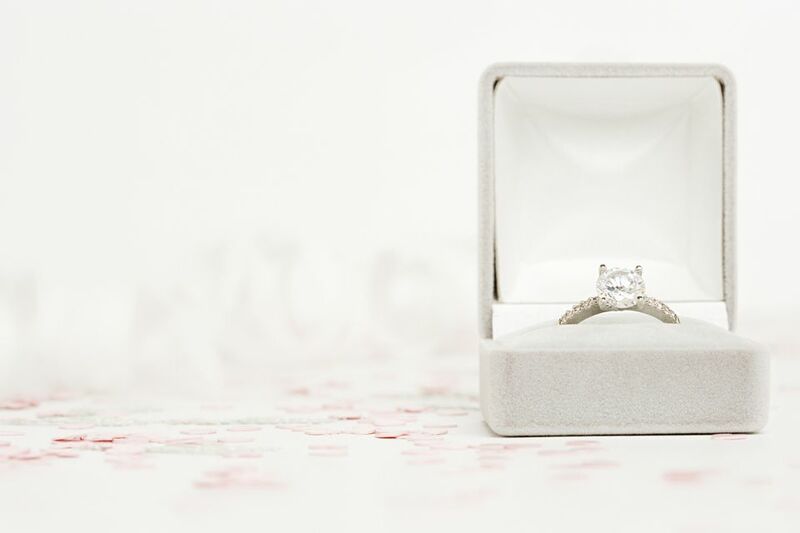 If you own any pieces that are rare or that you are particularly concerned about, ask a jeweler for specific storage advice. Anything extremely valuable (whether monetarily or sentimentally) should be stored in a locked box in a concealed place or even a safe deposit box. If you wear the same jewelry almost every day and keep other pieces for special occasions, it’s convenient to have two separate storage methods. I store almost all of my jewelry in my room in a transparent box like the one linked below, but I deposit my everyday favorites in a small china dish near my desk when I’m not wearing them. Probably the easiest way to store jewelry is in a transparent divided box. These boxes come in various sizes. You can use smaller ones to split your collection into rings, necklaces, and so on, or use one large box for everything. The advantages to this system are that everything is visible, the box looks neat on top of a dresser or fits nicely in a drawer, and the sections prevent pieces from becoming jumbled. Another no-frills storage method is to simply keep the cardboard or velvet boxes jewelry often comes in. Save the nicest ones (you can fit several rings in a box meant for a cuff bracelet) and stack them neatly. They’ll look simple and attractive, and your baubles will be safely ensconced in the included padding. If you prefer to store your jewelry vertically, try a hanging bag with individual compartments, made to fit on a closet door. If you travel frequently, you can keep a set of jewelry ready to go in a small roll-up case. If you have the space on a vanity table or dresser, a pretty way to organize jewelry is to place pieces in mismatched cups and saucers or other small vessels like salt cellars and egg cups. There are also many products on the market specifically designed to display jewelry while attracting attention in their own right. From metal necklace trees to ceramic cats whose tails accommodate a stack of rings, these ornaments range from whimsical to funky to feminine. The classic jewelry box is still around for a reason. Not only does it look nicely old-fashioned in your bedroom, but it’s also built with a space for everything. If you like your rings slipped securely into place, your bracelets corralled in little drawers, and your pins in their own compartment, a jewelry box is the way to go. They range from tiny (good for young girls just starting to accumulate jewelry) to huge. There are also jewelry boxes that forgo the old-school look for a more modern appearance, with wood or acrylic exteriors, while retaining multiple interior sections that give every item a place. If you prefer to show off your jewelry along with your unique style, think creatively. Chunky necklaces can hang over doorknobs, brooches can be stuck into bulletin boards, pendants can be slipped over hooks, and tool boxes and vintage tins can be recycled as storage for bangles and rings. Need more ideas? Try Pinterest—if you have hours to spare.